Of course this is From the Rare Earth Group and their 1971 hit: I Just Want to Celebrate. Maximum Value Partners doesn’t sing it but frequently tells its small business clients just to take time to Celebrate! In this segment of Dirty Secrets of Small Business, radio show hosts: Jack Mencini and Adam Sonnhalter, business partners of Maximum Value Partners discuss how often small business owners just don’t take the time to stop and smell the roses… to stop and celebrate when they get a new client…when an employee does an exceptional job. It makes a tremendous difference in your psyche and the mental health and attitudes of your people when you give out the high fives and the “Ata boys” and “Ata girls” and sincerely recognize them for a job well done. What is the sense of working your tail off if you don’t take a few moments or even give the team the afternoon off when something great happens? Celebrate once in awhile…it’s good for your business! Jack and Adam also debunk the myth that good friendships are the bases for good business relationships with small business owners often think that the best way to build your team is with the friends and relatives you already know. “Nothing and I mean nothing, could be further from the truth,” said Jack. “When things get a little rough and you need to tell your best friend that he or she is not doing the job, do you really want to choose between the health of your business and the demise of your friendship?” Bottom line, it is seldom a good idea to go into business with your friend or relative. Dirty Secrets of Small Business also covers a very quirky “How Come?” question for this week’s insight from Jack. 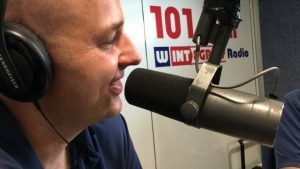 Listen in to this podcast to get the whole story on “How come baseball players spit?” and what this has to do with tips for small business owners. Tune into DirtySecretsofSmallBusiness.com to catch up on all the podcasts and learn more on how to be a productive and successful business owner and if running a small business is really right for you! The post As a Small Business Owner, Enjoy the Success appeared first on Maximum Value Partners. You Need to Pick and Choose the Clients You Want!